Success Stories - The Hube Law Firm, P.C. State of Georgia v. J.V. – the client was arrested and charged with possession of marijuana and possession of drug related objects after the police entered his home without a search warrant or consent from the client. After extensive research a motion to suppress was filed that resulted in the prosecutor agreeing to dismiss all charges against the client without a hearing. 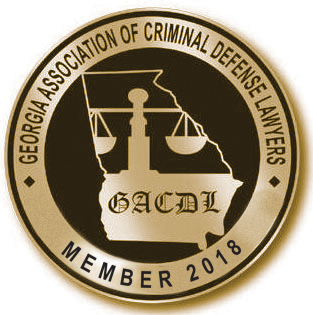 State of Georgia v. A.L. – the client was arrested and charged with murder for shooting an individual who attacked the client. After a lengthy preliminary hearing and negotiations with the prosecutor, the murder charge was dismissed and the client entered a plea of guilty to a minor charge which resulted in the client being on probation for a period of twelve months. The client avoided a potential sentence of life in prison had he been convicted of murder as originally charged. State of Georgia v. W.P. – the client was arrested and charged with aggravated assault after being involved in an altercation with a neighbor. The neighbor was struck in the head with a foreign object resulting in a serious injury which required medical attention. The case was tried to a jury with a verdict of not guilty being returned. The client avoided a potential sentence of twenty years in prison had he been convicted. State of Georgia v. F.D. – the client was arrested and charged with vehicular homicide after hitting and killing a pedestrian who was in the roadway. Law enforcement did not view the incident as an accident and charged the client with felony vehicular homicide which carried a potential sentence of fifteen years in prison. The case was tried to a jury with a verdict of not guilty being returned. The client avoided serving any time in prison or having any criminal conviction. United States v. J.C. – the client was arrested and charged with possession of a firearm by a convicted felon. The client was prosecuted by the federal government for this offense and faced a potential sentence of ten years in prison if convicted. The client was pulled over on the interstate. His vehicle was searched and a pistol was found in his suitcase. The client claimed ownership of the pistol at the scene. The case was tried to a jury in federal district court and a not guilty verdict was returned. The client avoided ten years in prison and a conviction. State of Georgia v. J.F. – the client was arrested and charged with manufacturing methamphetamine and manufacturing marijuana. The police entered the client’s property with a search warrant and found methamphetamine, various ingredients to manufacture methamphetamine and numerous growing marijuana plants. After extensive research, a motion to suppress evidence was filed that contested the validity of the search warrant. A hearing was held on the motion. After the motion to suppress hearing, the judge ruled that the search warrant was invalid and all of the drugs found at the client’s home were suppressed. All charges against the client were dismissed allowing the client to avoid a potentially lengthy prison sentence.